Wenbing Zhao received his Ph.D. in Electrical and Computer Engineering at University of California, Santa Barbara, in 2002. Dr. Zhao has a Bachelor of Science degree in Physics in 1990, and a Master of Science degree in Physics in 1993, both at Peking University, Beijing, China. Dr. Zhao also received a Master of Science degree in Electrical and Computer Engineering in 1998 at University of California, Santa Barbara. 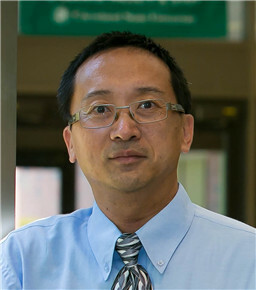 Dr. Zhao joined Cleveland State University (CSU) faculty in 2004 and is currently a Professor in the Department of Electrical Engineering and Computer Science (EECS) at CSU. He is currently serving as the director of the Master of Science in Electrical Engineering, and the Chair of the Graduate Program Committee in the Department of EECS, and a member of the faculty senate at CSU. Dr. Zhao has authored a research monograph titled: “Building Dependable Distributed Systems” published by Scrivener Publishing, an imprint of John Wiley and Sons. Furthermore, Dr. Zhao published over 120 peer-reviewed papers in the area of fault tolerant and dependable systems (three of them won the best paper award), computer vision and motion analysis, physics, and education. Dr. Zhao’s research is supported in part by the US National Science Foundation, the US Department of Transportation, Ohio State Bureau of Workers’ Compensation, and by Cleveland State University. Dr. Zhao is currently serving on the organizing committee and the technical program committee for numerous international conferences, and is a member of editorial board for PeerJ Computer Science, International Journal of Parallel Emergent and Distributed Systems, International Journal of Distributed Systems and Technologies, International Journal of Performability Engineering, International Journal of Web Science, and several international journals of the International Academy, Research, and Industry Association. Dr. Zhao is a senior member of IEEE. Dr. Zhao is also a senior member of International Economics Development and Research Center (IEDRC).